There are many health benefits to cherries because of their powerful antioxidant know as Anthocynanins. “As antioxidants, they protect the cells of the body from the damaging, aging and disease producing affects of oxygen, nitrogen and UV radiation” (www.whole-food-supplements-guide.com). Anthocynanins are natural pain relievers and anti-inflammatories. Alos, cherries contain melatonin, which is another natural pain reliever. “Melatonin also helps to regulate sleep cycles and has been sold as a natural sleep aid” (www.whole-food-supplements-guides.com). In addition, cherries contain vitamin C, fiber and natural abilities to reduce bad cholesterol. The saying “an apple a day keeps the doctor away” is quite true. 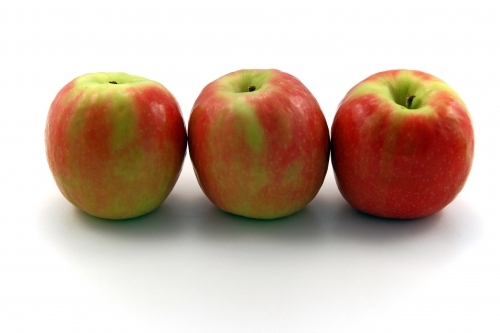 Apples are loaded with powerful antioxidents and other powerful benefits. Apples protect cells rom damage. Apples help reduce the risks of cancer. Not only that, they are packed with heart healthy fiber. If you would lke more info click here.